Free Able Photo Slide Show Download from FilesPack.com! 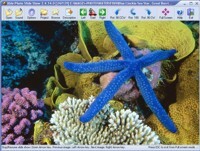 - Able Photo Slide Show allows you to create standalone executable slide show and web gallery. - Description Manager. Addition and viewing of the graphic files description. - Color mode converting and adjusting. - Converting to Adobe PDF, PostScript PS, EPS You can free download Able Photo Slide Show 2.0 now.